Shop Our January Sale for the Biggest Savings of the Year! We’re kicking off the New Year with BIG savings. Our January sale for new RVs runs until the 13th, so check out our unbeatable discounts for the biggest savings of the year and get your 2019 off to the right start! 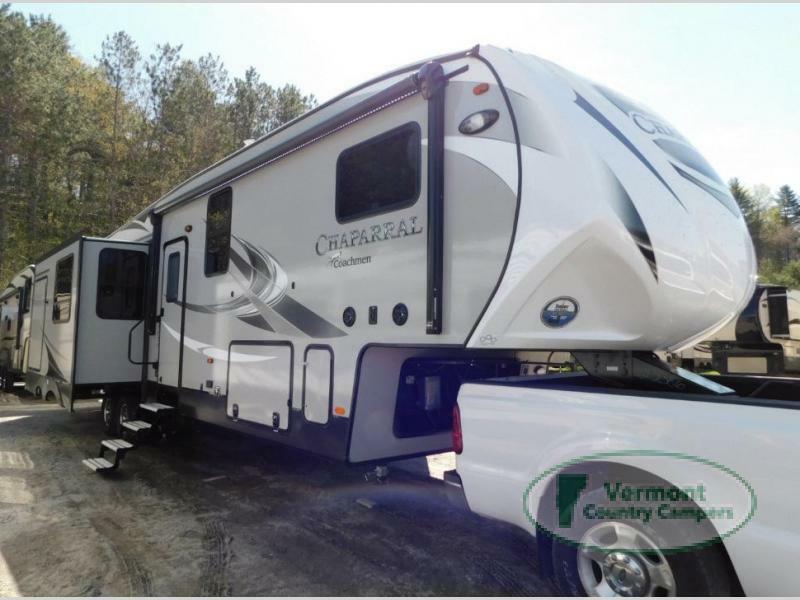 Take a look at this new 2019 Coachmen RV Chaparral 373MBRB for sale. Featuring FIVE slides and sleeping up to eight, this luxury fifth wheel has all the bells and whistles. The whole family will enjoy the spaciousness that the two private bedrooms provide, and the convenience of two full baths. An outdoor kitchen is paired with entertainment, so you can enjoy the exterior flat screen TV while preparing meals outside on beautiful days! The 2019 Coachment RV Chaparral 373MBRB typically sells for $69,549, but with our January sale, you can enjoy significant savings and make this luxury RV yours for only $54,995! Or perhaps you’re ready to take a look at our travel trailers for sale. 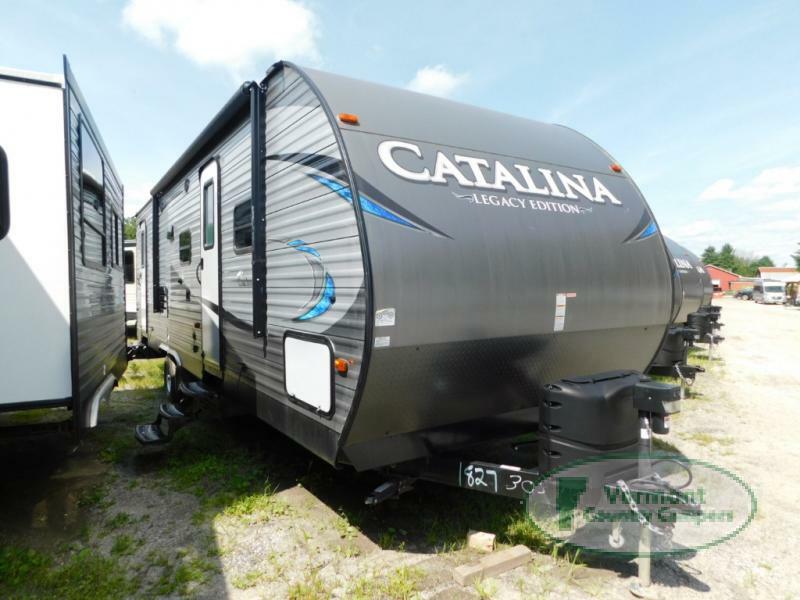 This Coachmen RV Catalina Legacy 283DDS travel trailer for sale will surprise you with its ability to sleep 9 people comfortably! A double bunk set is included, and with plenty of storage space packed throughout, you’ll be able to bring along the entire family! This gorgeous travel trailer is marked down by more than 30%, and with our special financing, you can own it for payments as low as $196 a month! Are motor homes your preference? Put your home on wheels today and enjoy the journey as much as the destination! We have Class A, Class B, and Class C motor homes in our inventory, as well as some diesel. Check out our motor home inventory here or in person. We’re sure we can help you find just the right RV to suit your needs, such as this 2019 Winnebago Minnie Winnie 22M for sale. It’s never too soon to start planning your vacation, and that’s why we’re slashing prices now. With our new RVs for sale you can take advantage of the biggest savings of the year, and look forward to warmer days and sunny skies. Contact us today if you’re ready to rake in the savings and get a jump start on your dream vacation!